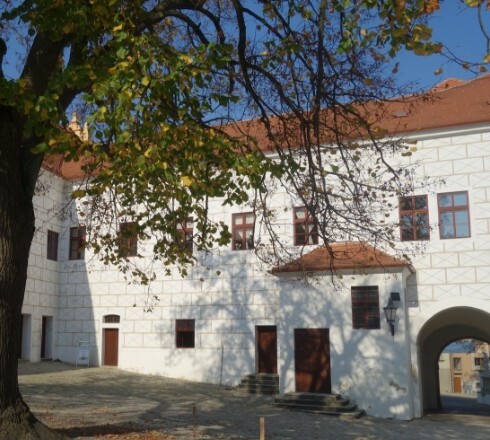 The former Waldstein Castle houses the Museum of Vysočina Třebíč with newly reconstructed exhibitions, which attract visitors to know the local history, traditional life and beauty of nature. Antonín Kalina, a native of Třebíč, a shoemaker, and a first-republic communist who, thanks to his heroism, saved at least 900 Jewish children imprisoned during the Second World War in the Buchenwald concentration camp. Where have the old crafts gone? To museum! 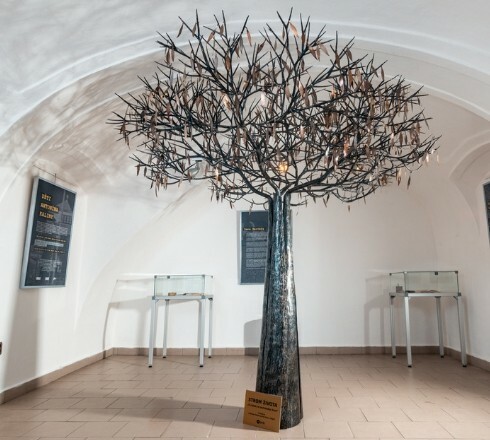 On the ground floor of one of the wings of the Třebíč Castle there is a permanent exposition entitled Crafts of the Past. 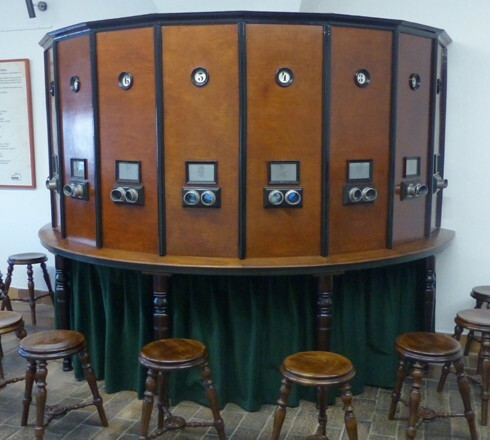 It follows on from the interactive exposition of Journeys Through Time and reminds of almost forgotten crafts such as gingerbread making, blueprinting, saddlery, pearl processing and millinery. Each room features one or two crafts, including products. In the gallery of the Pasáž Theatre, there is a model from the workshop of the Třebíč modeler and patriot Stanislav Vrška, depicting the town's appearance from 1835. The 1: 100 model occupies the area of almost 27 m2. The Painted House on Charles Square houses a unique exhibition of Kaiserpanorama, the forerunner of the cinema. 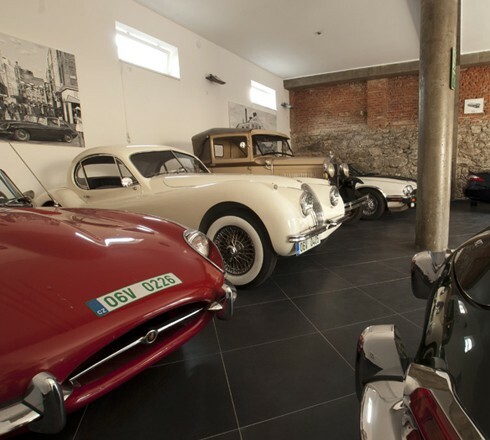 In the area of the former castle distillery you can visit the brewery “Podklášterní pivovar”, the restaurant “Lihovar” and the unique Jaguar sports car exhibition. The permanent exhibition of the works performed and donated by Třebíč native František Mertl, using the pseudonym FRANTA, is a cross-section of lifelong author's work. 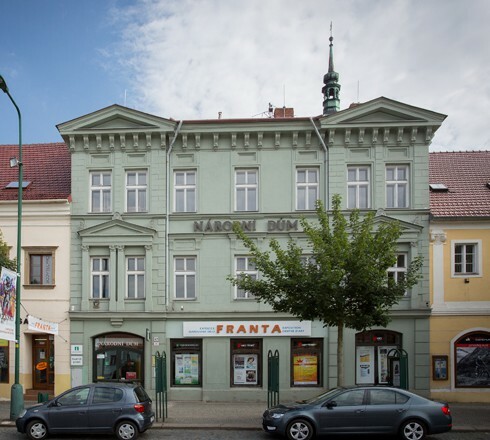 FRANTA is one of the most important Czech artists who have gained an exceptional position on the international scene. One of the most beautiful Renaissance houses in Třebíč which was constructed to order of the Italian merchant Francesco Calligardi for his love in the 16th century. Italian builders erected to their compatriot a beautiful Renaissance building decorated with figural sgraffitoes. The centre of culture and art - the National House, has been on the upper side of Charles Square since 1871. 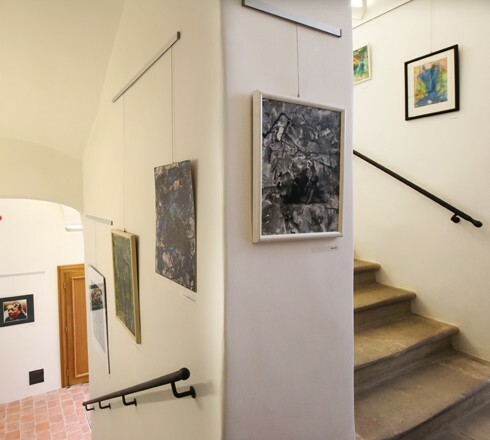 When seeing the chateau complex, do not forget to visit the exhibition gallery located on the ground floor of the castle front. The name of the gallery was determined by an uncovered tympanum located between the Basilica of St. Prokopius and the crypt. 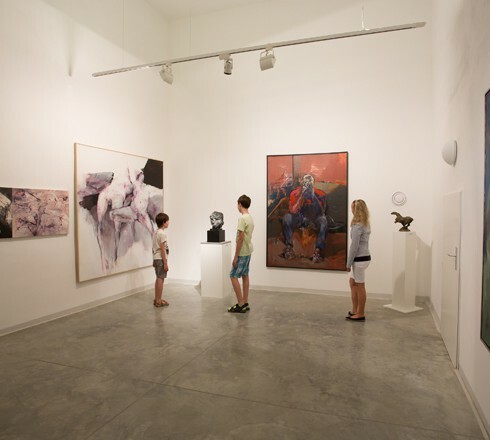 The Castle Stables also serve for the exhibition purposes.